On November 2, 1975 , at the age of 17, he was stopped in the hours following the murder driving the Alfa Romeo Giulia GT 2000 Pasolini while driving against traffic on the seafront in Ostia. Confessed , secure an acquittal for self-defense to the alleged harassment and threats of Pasolini on 26 April 1979  Pelosi was finally sentenced by the Supreme Court to nine years and seven months in prison for ‘ murder in competition with the unknown. After the sentence reflects the punishment until December 1982 , when he returned in semi-liberty. In subsequent years, and come out of jail, five days after being released from prison will in fact be arrested again for robbery to a mail truck. Continue to commit crimes to a robbery on 1 September 2000 . 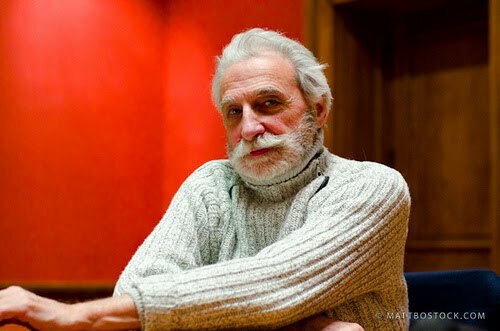 Thirty years after the murder, in May 2005 , the telecast of RAI Shadows on yellow , in contradiction with his confession in the trial stage, he claimed not to have participated in the first attack of Pasolini, but this was done three persons, unknown to him. In support of his reticence and dell’essersi saddled the responsibility of the murder, Pelosi claimed to have been threatened with death along with his parents by one of the attackers, and had therefore waited until the death (by natural causes) of these past, before starting to speak. In the new version in fact, Pelosi is about two young “Sicilian accent,” a statement that seems to coincide with the other with the first hypothesis of the investigators, whose complicity in the crime attributed to the brothers Borsellino, common criminals Romans dedicated to drug trafficking, militants in ‘MSI with extreme right-wing political sympathies and died of AIDS in the nineties . After being re-arrested for drug dealing in 2005 , has been given to social services and has done the job of garbage collector for the municipality of Rome . On 23 September 2009 he returned free after serving the sentence. In an interview to the blog of Beppe Grillo , Pelosi says the strangeness of the criminal lifer Joseph Mastiffs , the chronicle known as the Gypsy Johnny , who was his friend, and fellow prisoner in 1976 and again as a fourth suspect in the crime Pasolini. Pasolini’s last completed film, Salo, an adaptation of the Marquis de Sade’s The 120 Days of Sodom set in the fascist republic of Sal during the last days of Mussolini era has been seen by mindless homophobes as “explaining” his death. Never commented on is a curious sequence in the film in which two of the mistresses of ceremony, played by Helene Surgere and Sonia Saviange, stop everything and perform a scene from Femmes Femmes by Paul Vecchiali – the most important but least celebrated of all gay French filmmakers. 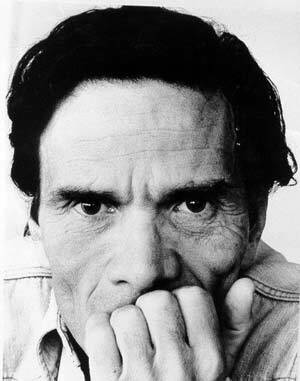 It was my very good fortune to meet and talk with Pasolini on two occasions. First in 1966 when he came to the New York Film Festival where Accatone and The Hawks and The Sparrows were shown, the second in 1969 when Teorema was previewed at special screening at the Museum of Modern Art. He was most amused by the MOMA audience’s expressions of “outrage” over this masterpiece.